If you have walnut trees on your property and you are looking to sell them for profit, call Walnut Timber Buyers right away. You may not even know you have valuable walnut trees on your private land. We can help you determine this, then give you the fairest dollar amount possible for your investment. As reputable walnut tree buyers, we specialize in standing timber and cut trees. We handle large jobs of all kinds here at Walnut Timber Buyers, from farmland to recreational properties to hunting grounds. 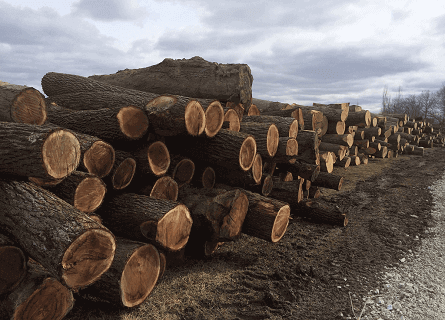 Our clientele includes private landowners, loggers, and importers. So, if you suspect you have walnut trees in your yard or on your farm, call us today. You may be able to get paid a handsome sum for all that natural wood. 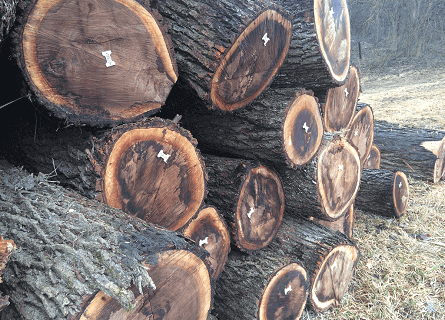 It’s time to sell walnut trees in IL! Well, the reasons can vary by the landowner. Sometimes the tree has become a liability or a hazard. Other times, the tree is ugly and unsightly, causes too much shade or is a hindrance to normal operation. Many landowners decide to sell trees because their trees are interfering with their house, deck, driveway, septic system, patio, view or fence. Sometimes, those big walnut trees overhang onto a neighbor’s property and cause friction between two property owners. And of course, many people simply need the extra cash, which they can achieve by selling their mature walnut trees and black walnut logs. Opting for the right timber buyers for your needs is crucial. If you choose the wrong company, you could be sacrificing a lot more than you think. With us, we truly care about giving you good money for your walnut. Other companies will lowball you so they make more out of the deal than you. We go above and beyond to ensure farmers, landowners, hunters and loggers get the best deal possible. If you are looking to sell your walnut trees in Illinois, Iowa, Missouri or Wisconsin, please contact us at (309) 326-9711 or fill out our online form. We will be in touch within 24 hours.